Undergraduate program aimed at digital natives who want to create content and take a critical perspective on the media and its context. Opens in 2019. The Center for Studies in Journalism (Ceper) and the Faculty of Arts and Humanities at the Universidad de los Andes, through their very innovative proposal in Latin America, launched an interdisciplinary and flexible program that provides conceptual tools and practices so as the student can be an architect, critic, and inventor in the new digital media universe. The undergraduate degree in Digital Narratives is aimed at the generation of digital natives who grew up when computers and the Internet were already present in almost every aspect of daily life: they are dedicated to the world of media and images, hyper-connected, and linked to net dynamics. 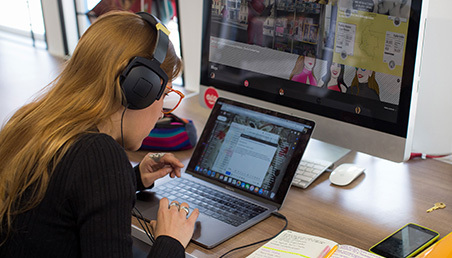 Jimena Zuluaga, director of Ceper, explains that students who study this undergraduate degree, “will learn to tell fiction and non-fiction narratives in different formats and languages regarding the media, as well as critically reflect and creatively intervene in the digital world”. The program is made up of workshops and thematic courses. The former are presented as practical spaces that allow students to learn to create written, sound, audiovisual, corporal, and multimedia narratives. The thematic courses, on the other hand, are grouped together in three areas: context, communication, and technology. In these classes, students strengthen their reflexive and critical view of narratives in the media and their sociocultural context. The program´s curriculum in very flexible. In addition to the mandatory courses and workshops, each student can choose, based on their professional interest, between a wide range of general education and elective courses. 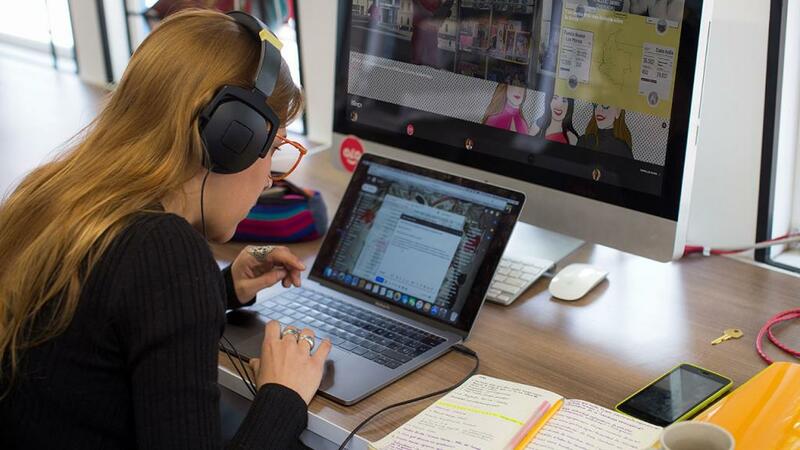 This allows them to be able to relate the digital narratives with the arts, humanities, social sciences, design, technology, history, critical issues about Colombia, as well as other possible thematic areas. The degree requirements for the Digital Narratives program is also designed to fit each student´s interests and profile. They can choose between undertaking a research project on digital narratives; a creation project: designing and creating a digital project, for example a short video, a website, or a transmedia installation; or an exercise: an emersion experience in, for example, a media outlet, a production company, a museum, a publishing house, or an agency. Graduates from the program will be professionals in digital creation with an experimental attitude who are collaborative, ethical, and critical in relation to their work with others. The fields in which they will be able to work are broad and interdisciplinary, just like their profiles. They will fit in media outlets, digital and content agencies, public entities, public-private entities, the third sector, as well as have the potential to develop their own ventures. Within these contexts, they will lead and be members of work groups that create and manage content relating to management, advertising, fiction, and releases.